During this powerful keynote presentation, Jacob will take audience members through a journey from his initial catastrophic injury through the process of embracing his cognitive and visual injury as his core competency. Jacob’s sunglasses, worn as a result of photophobia after the injury, became his best leadership tool. 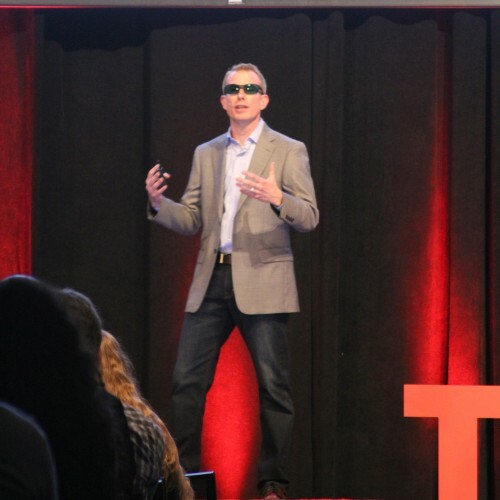 Jacob used his sunglasses to create deeper and more meaningful client relationships, insert humor into business transactions, build better and more effective teams by assessing manager strengths and motivations, and standing out as a highly successful leader while embracing adversity and insecurity. This keynote will teach audience members, especially managers and leaders, how to face their own adversity or their organization's toughest challenges and use them for personal, professional, and organizational success. After hearing the keynote, managers will: -be more authentic, more focused, and more relatable. -will be able to focus on the task at hand and not distracted by their limitations. -will understand how to face and overcome personal and professional crisis and apply it to workplace success and competitive advantage. -work in an environment with more connected employees, less attrition, and a stronger and more empowering culture.